Just a month after the release of LibreOffice 3.5, the Document Foundation on Thursday announced an update to the software that's designed to increase the stability and security of the free office productivity suite. 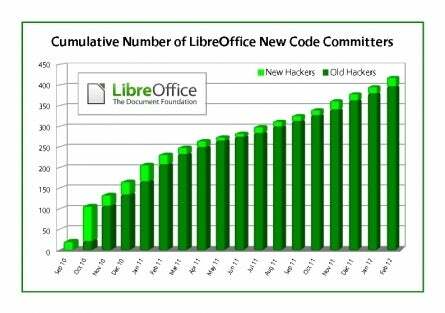 Targeting individual and business users alike, “LibreOffice 3.5.1 fixes the majority of the most-important bugs identified by users and is expected to be appealing for most enterprises,” the Document Foundation said in its official announcement. LibreOffice 3.5.1 is now available as a free download for Windows, Linux, and Mac OS X. It's bit-for-bit identical to the software's second release candidate, the Document Foundation notes, so users of that version need not update. While not a major release the way version 3.5 was, this latest LibreOffice update offers several key improvements nonetheless. Fourteen core bugs have been fixed just since the software's first release candidate, which itself fixed nearly 100 more since the debut of version 3.5, according to the software's change logs. Several of the fixes this time around address bugs that caused the open source suite to crash unexpectedly, while others bolster its security. More than 400 code developers are now involved in the project, as depicted in the chart at left. In fact, “since September 2010, a monthly average of 20 new hackers has joined the project, attracted by the copyleft license, the lack of copyright assignment, and a welcoming environment,” said Italo Vignoli, a member of the group's board of directors. The Document Foundation encourages large organizations to deploy LibreOffice with the help of a support partner to assess specific requirements, help manage migration, and provide customized fixes for identified issues. Hiring support from an official partner also helps to support the independent project financially, the group adds. Windows users with an early version of LibreOffice installed--specifically, one prior to version 3.4.5--are advised to either uninstall that one or upgrade to version 3.4.5 before updating to this latest release, as is anyone currently running OpenOffice.